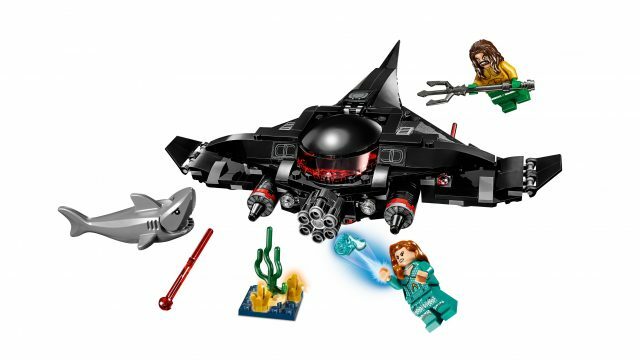 With the Aquaman slated to hit the big screens on the 21st of December, LEGO will be releasing 76095: Aquaman™: Black Manta™ Strike playset for the movie on the 1st of August priced at $29.99 USD. It will include 3 minifigures, featuring Black Manta, Aquaman and Mera. Mera is the Queen of Atlantis and wife of DC Comics superhero Aquaman in the comic series. 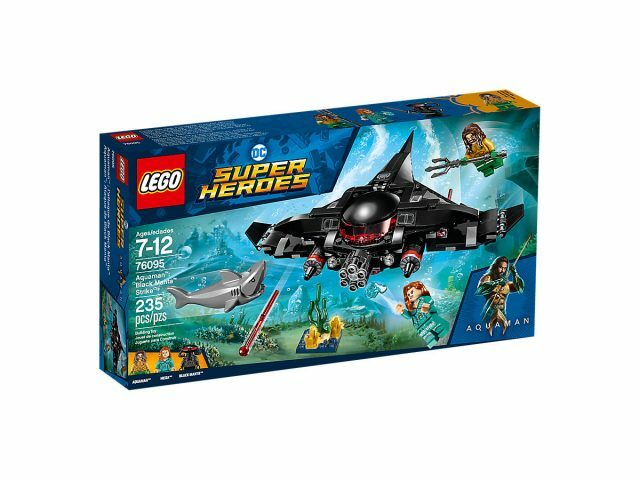 Venture into the underwater universe of Atlantis with Aquaman™ and Mera™ for a LEGO® DC Super Heroes 76095 Aquaman: Black Manta™ Strike against Black Manta’s submarine! Dodge the sub’s spring-loaded shooter and six-stud rapid shooter. Fend off the shark and Black Manta’s sword attacks with Aquaman’s powerful trident. Play out thrilling scenes from the Aquaman movie or create your own exciting adventures. Can you help the LEGO DC Super Heroes defeat the menacing Black Manta™ and discover the treasure in the seaweed? Weapons include Aquaman’s trident and Power Blast, Mera’s Power Blast and Black Manta’s sword.